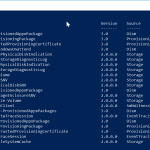 What is a PowerShell Array? A PowerShell array is a data structure that stores a collection of items. The items stored may be the same or different types. $ArrayEg = "A, B, C, D"
This is very helpful when scripting. I used this when I was creating the lab used in my PowerShell Tutorial book series. I needed to add some Active Directory users to a set of security groups. $Groups = "Group1, Group2, Group3"
Once I had the group names in an array, it was easy to iterate through the array items using a ForEach loop. Using the ForEach loop, I called each item of the array (the groups) and used Add-ADGroupMember to add users to the groups as required. Smart, isn’t it! A PowerShell array has some characteristics that you may want to know about. For instance, you might want to find the data type of a PowerShell array. 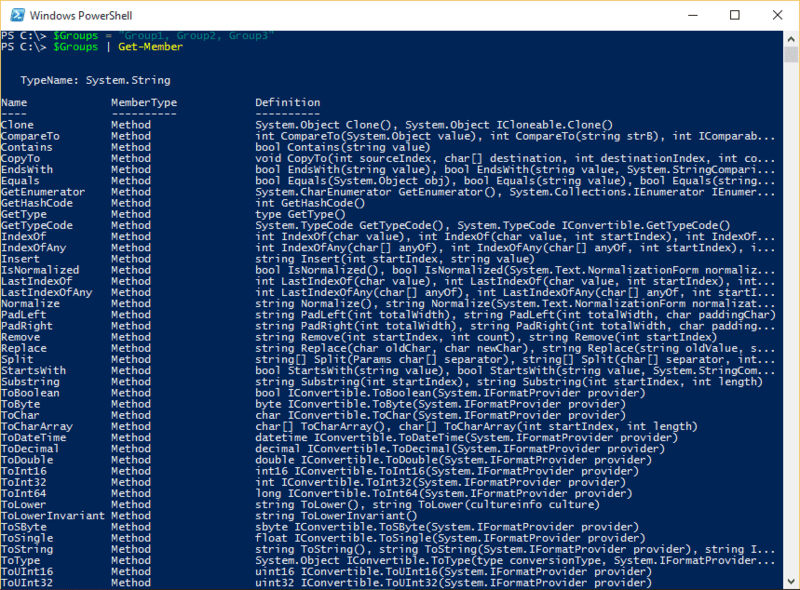 You can also find additional properties contained in a PowerShell array by piping the array into the Get-Member cmdlet. You might be wondering why you need all these information about an array. I will provide additional examples later in this article. Notice that in the figure, there are properties and methods (some part of the image is not shown). Properties represents the actual properties of the PowerShell array. Methods allow you to run commands against the array as shown with the GetType() command previously used in this article. Powershell methods and properties are covered in detail in my book PowerShell Tutorial. To learn more about object properties, methods and other PowerShell scripting technics, get a copy of PowerShell Tutorial Volume 1. You may also refer to the references at the end of this page. The previous command will list the values A, B, C, D in that order. There might be circumstances where you need to access on of the items contained in the array. 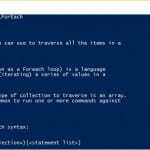 Before I run the command that returns the items contained in the PowerShell array, it is important to understand how the array contents are arranged. You can access the elements in an array by using an index. The first value (position zero) of the PowerShell array is assigned a zero ‘0’. To return the second item, ‘B’, replace ‘0’ with ‘1’ in the previous command. I have used the PowerShell array a number of times. I already mentioned how I used it in the script for my PowerShell Tutorial book series. 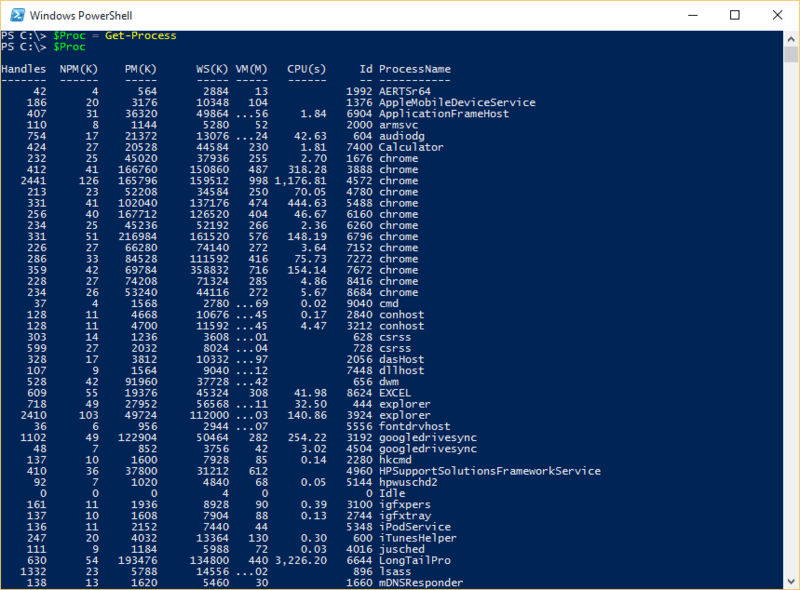 I will now give one more example of the application of a PowerShell array . 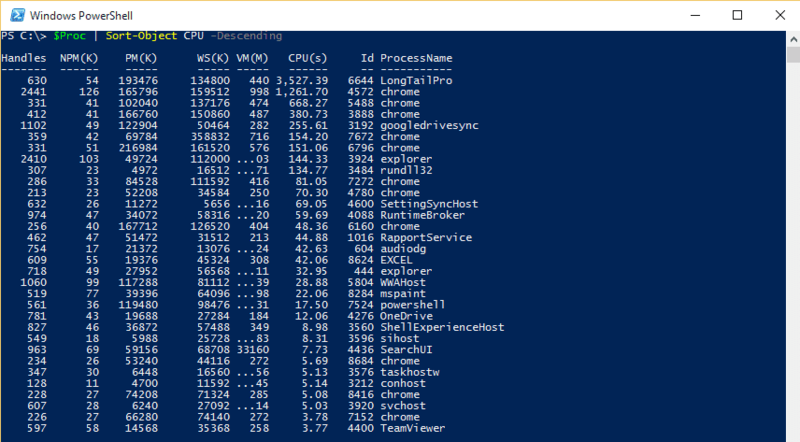 In this example, I will demonstrate how to use the knowledge about PowerShell array to find the process that has the top CPU utilisation in your pc. The command simply stores the processes on my local pc in the variable. To see the information stored, execute the command below. The result of the previous command is shush below. Notice the CPU(s) column? This column shows the CPU consumption of each process. To proceed, we need to sort the process in order of CPU consumption. To achieve this, we pipe the $Proc PowerShell array to the Sort-Object cmdlet. 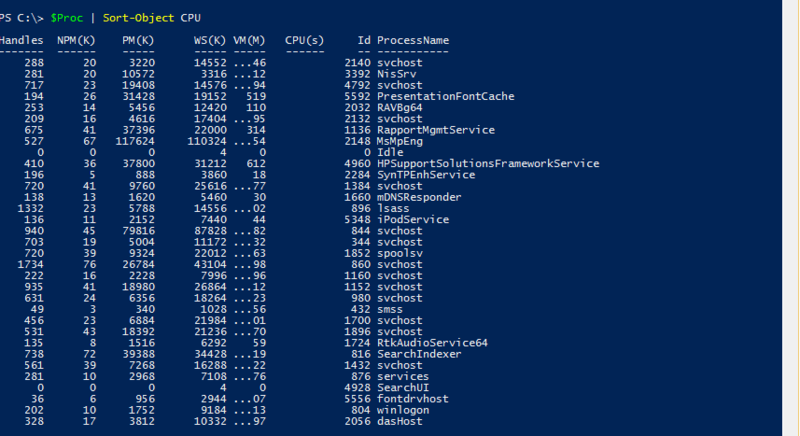 The Sort-Object cmdlet sorts the content of the PowerShell array in ascending order. Unfortunately the previous command did not sort the items in the order we want them. See the result of the previous command below. We will like to have the items in descending order. Sorting the items in descending order is very simple. It requires us to include a parameter of the Sort-Object cmdlet. The parameter we require is the ‘Descending’ parameter. See the amended command below. Notice that the items are now sorted in order of CPU consumption. The items are now sorted with the process with the highest CPU on top. At this point, we can return the process with top CPU consumption. The command below does the magic! The will return the first item in the PowerShell array. This is the process with top CPU consumption. How good is that! This entry was posted in PowerShell, PowerShell Operators. Bookmark the permalink.